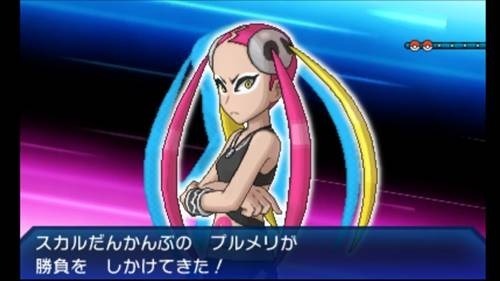 Akala Island Walkthrough Part 4 consists of the adventures in Akala Island until the Battle against Olivia in Pokemon Ultra Sun and Ultra Moon. Akala Island Walkthrough Part 3 covers Route 5 until the end of Olivia’s Trial. As you go through Pokemon Ultra Sun Moon, you’ll notice some slight differences especially from the old games. One of them would be the reworking of the trials. Some of the trials in Akala Island may have been reworked to suit the new alternative universe. Don’t forget to check out our Pokemon Ultra Sun and Moon guide! Return to Heahea City using the Ride Pager Charizard. Full Heal Near Hiker Gabriel Keep heading east, following the path up until you spot the Full Heal. Hyper Potion Near Ace Trainer Alexis Head northeast into the tall grass until you find a path that splits into two. Take the left path, beat the trainer, and grab the item near her. Star Piece Rock blocking the rocky slope After defeating the trainer, head into the tall grass where you’ll spot a rocky slope with a rock blocking you. The Star Piece should be there. Use Stoutland to obtain it. TM41 Torment Along the ledge near the Star Piece Since the Rocky Slope is blocked, go around it and you’ll find TM41 near a ledge that you can jump down to fight the Team Skull grunt. Alola Diglett Route 5 Look for bumps on the ground. Head east to trigger an event with Lillie. Once the event ends, return to Professor Burnet’s Dimensional Research Lab. Enter the elevator and take it to the 3rd Floor to trigger an event with the Professor. When the event ends, return outside and a cutscene with Hau will ensue. You’ll meet Island Kahuna Olivia when you enter the tunnel. She’s speaking with the Aether Foundation Employees. After that, she invites you to visit her shop in Konikoni City on the other side of the tunnel. Head back up the path before making your way up the stairs. You’ll meet the Aether Foundation employees Olivia spoke with earlier. After that, a pair of Team Skull Grunts will challenge you. Hau will appear and help you. After the battle, he will give you a Max Ether. Go to the eastern corner of the tunnel to get the Dusk Ball. Exit Diglett’s Tunnel to Route 9. Fire Stone Left path of Diglett’s Tunnel Head down the tunnel until it splits into two paths. Take the left, use Tauros to charge and break the rock to find the Fire Stone. Dusk Ball After Worker Frank Head down the tunnel until the path splits into 2. Battle Worker Frank first then grab the Dusk Ball behind the rocks. Nugget Near a wooden crate with a pickaxe. It’s usable as a sellable item. Sell it for 5000 pokedollars. Trigger an event with Looker to obtain a Thunder Stone. After entering the Police Station, head to the patches at the back to encounter a Wild Ditto. You will obtain 12000 Poke dollars after defeating or capturing it. Defeat the remaining 4 Ditto in Konikoni City. If you capture and report the status to the Police station, you will receive . Make your way down Konikoni City’s main street. There are shops offering different items. Then, head to the end of the street to find a house with a hammer sign hanging outside. This is Island Kahuna Olivia’s shop. Inside, Olivia’s Probopass hands you a Max Potion and a letter from Olivia to meet her at the Ruins of Life. Be sure to buy some Paralyze Heals and other healing items to prepare for the battle (Olivia has a Nosepass that can use Thunderwave). She also offers new Fossils that were not present in Sun and Moon. After that, leave Konikoni City and head south to Memorial Hill. After the battle, you will receive a Max Revive. Cross through Memorial Hill, then continue East. Defeat the Team Skull member. After defeating the member, continue east to reach Akala Island Outskirts. Cleanse Tag Behind Preschooler Liam. Super Repel Last Headstone in the area. Hyper Potion Memorial Hill Backpedal towards the trees right before the exit to Akala Island Outskirts. It’s near a white fence. Continue north and battle Team Skull member. Defeat Golbat using an Electric-type Pokemon, then deal with Salandit by using a Water-type Pokemon. After you defeat the Team Skull member, follow the north path to reach the Ruins of Life. TM28(Leech Life) Akala Island Outskirts Follow the ledge that Fisherman Vernon is on and head north. Once you enter the location, a cutscene with Professor Burnet and Lillie will appear. When the event ends, Olivia will challenge you to a battle. This trainer uses: Lv. 27 Anorith, Lv. 27 Lileep, and Lv. 28 Lycanroc. If you have Magnemite, Mirror Shot is effective against majority of her Pokemon. Other recommended choices include Alolan Diglett thanks to its partial steel typing. Both these choices are effective against Lileep. Once you defeat Olivia, you will obtain the Z-Crystal – Rockium Z.